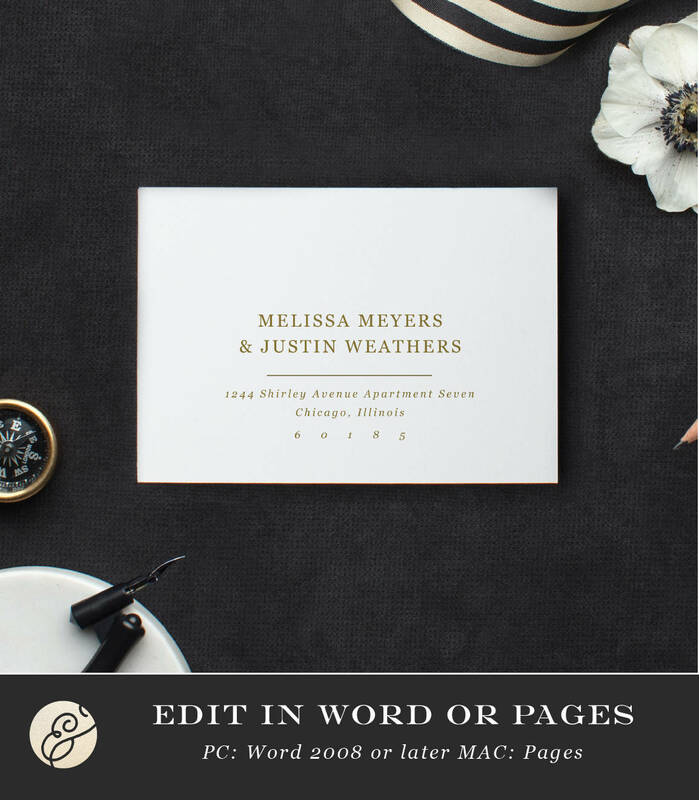 Use your home printer to create stunning printed envelopes. 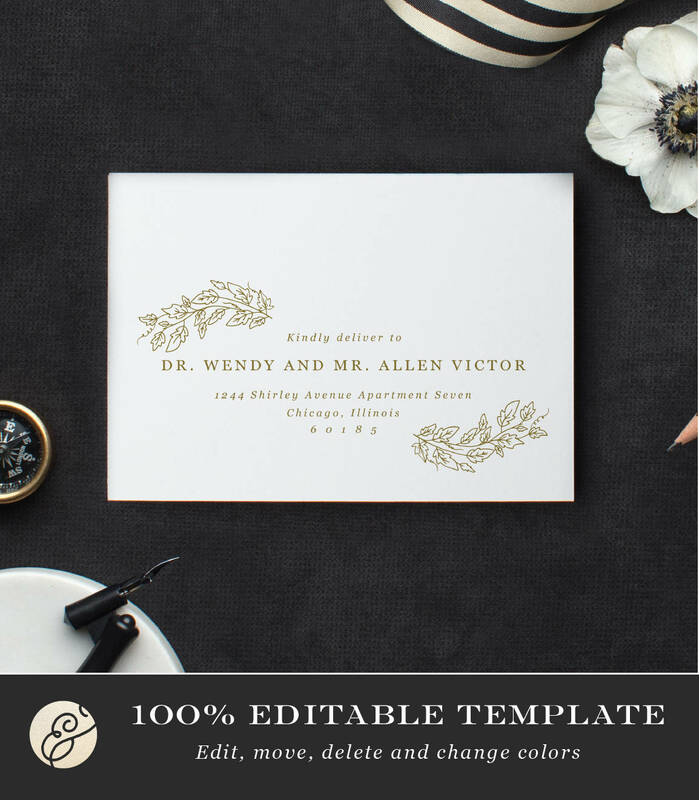 These envelope templates are a savvy and inexpensive alternative to wedding envelope calligraphy. Artwork colors are fully editable directly in Word or Pages. Size is adjustable in Word or Pages. Make sure your printer accepts the size envelope you plan to print on. CAN I USE MAIL MERGE? In Word and older versions of Pages, it is possible, but very tricky if you've never done it before. Instructions will vary depending on your software type, version, and what application you have your guest addresses in. Often, it is quicker to copy/paste your addresses as you go along. I do not recommend attempting mail merge unless you are very familiar with the process. At this time, I cannot offer assistance with mail merge. Yes. Size is adjustable in Word or Pages. Make sure your printer accepts the size envelope you plan to print on. This design features a font designed by Swell & Grand for use with our templates only. Links to all suggested fonts are included in the instructions.